We have a community that helps each other. Sung Ryoo is a rising senior in our department. He transferred here two years ago from Anne Arundel Community College, where he received his Associate’s degree in History. 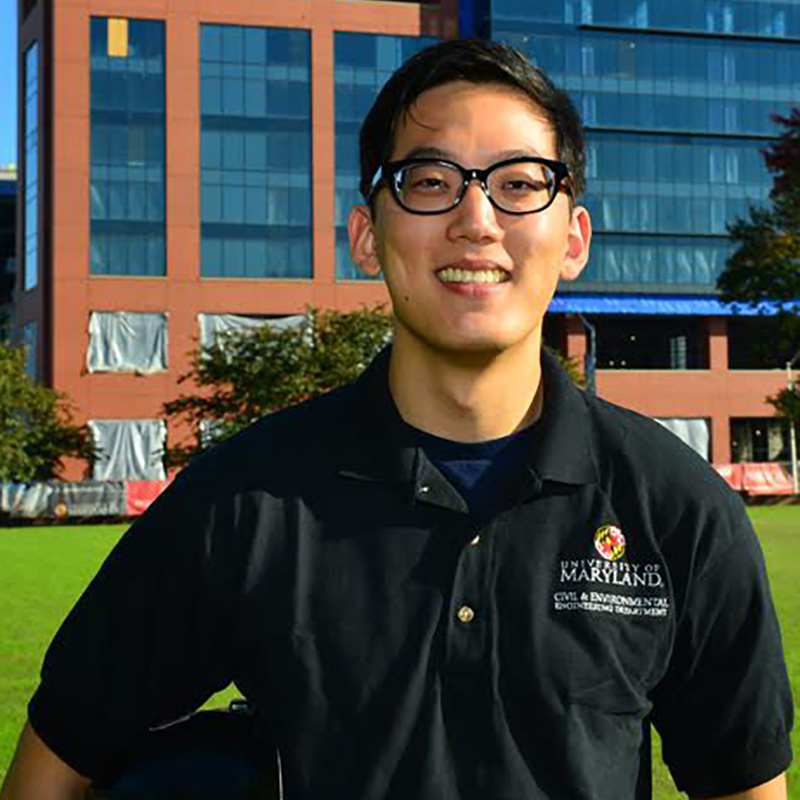 When he first arrived at UMD, he intended to get a degree in Geology, but soon discovered it wasn’t for him. When he took ENES100, Introduction to Engineering Design, his experience building a rover made him realize he was interested in engineering. The CEE department has given him the opportunity to apply his math skills practically in a way he finds satisfying. “I didn’t know I would like civil engineering, but I really enjoy it,” he says, adding, “I haven’t had a class I hated!” He remembers especially appreciating Dr. Andrade’s Engineering for Sustainability course, and is currently enjoying taking Fundamentals of Engineering Fluids with Dr. Brubaker. 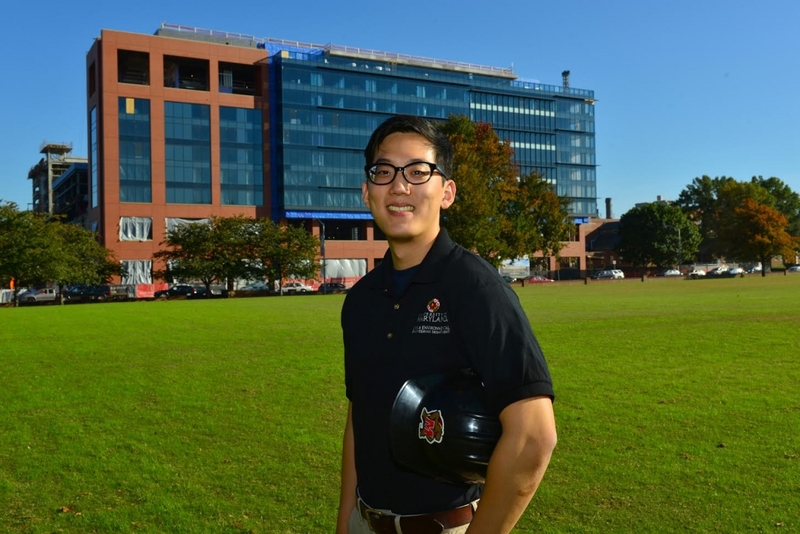 Sung’s favorite part of being A CEE major, he says, is “the people I’ve met.” Sung is involved in American Society of Civil Engineers (ASCE) and the Civil Engineering honor society, Chi Epsilon. Of ASCE, he hopes all students new to the department will get involved. “We have a community that helps each other,” he says. “Having people who have already taken the classes [to talk to] is really helpful.” He also believes the department fosters a positive environment for minorities. “I’ve never felt marginalized… It’s just based on merit,” he says.